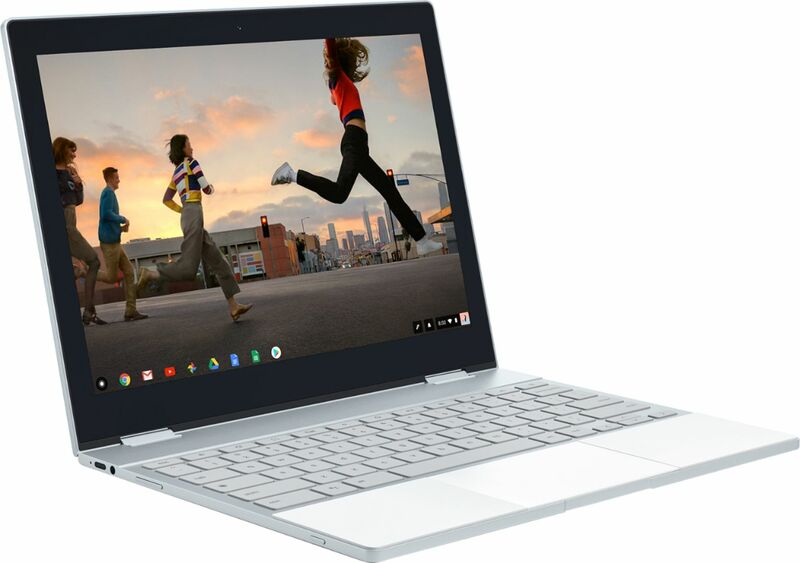 Mail4Rosey: I Found the Lightest Laptop Around: Get $100 Off Google #Pixelbook Today! I Found the Lightest Laptop Around: Get $100 Off Google #Pixelbook Today! Disclosure: This is a sponsored post. I will receive a gift card, item or discounted item in exchange for my honest review. All opinions stated are genuine and my own. There are so many reasons I am considering switching to a Google Pixelbook. Not too long back, I had a high-priced, high-quality laptop, that worked like a charm. One day, as I poured myself a huge glass of cranberry juice on ice, I sat down to start the day's work, and promptly spilled that drink all over my keyboard. That happened during my 'frugal' stage, so I went out and bought a very inexpensive laptop to replace the loss. "What does it matter?" I thought, "all computers are the same, aren't they?" In a nutshell: No. That laptop was slow to load, didn't have much memory, and had trouble sometimes turning on. All of the above led to me getting an upgrade, the one I am typing on right now, incidentally, but not much of one, and I still have several consistent challenges that I did not have with the better computer that I ruined. So now, I am doing my research and trying to see what I might like to get that has a solid reputation from those who use their computers a lot, and that will give me all I need for work and play. In short, I'm looking for quality again, because that seems to be what really works best for me. What keeps popping up time and again is the Google Pixelbook. At 10.3 mm, the Google Pixelbook is thin. In fact, it is the thinnest laptop ever and it's lightweight too, being constructed of aluminum which makes it extremely easy to carry around. That is important if you will be taking your laptop back and forth to work like I do, or on the go...such as I do when I'm traveling on the weekend. The 360-degree touchscreen and virtual 4-in-1 design make it beautifully versatile and effortlessly able to adapt to any type of lifestyle! Being powered by Chrome OS, you can also be assured that your device will always have the latest security and software features. What's not to love??? But...there's more. 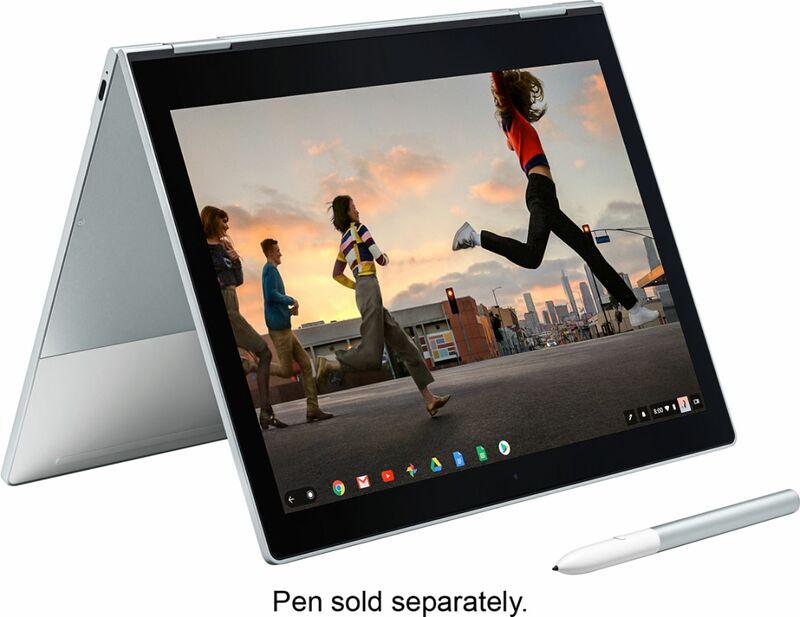 This high performance Pixelbook--and Pixelbook Pen1 (a smart, responsive stylus) allow you to get your work done faster and smarter. I love that there is a collection of apps already included (anything that saves me time gets a big pat on the back in my book), and I appreciate that there is a GSuite app that Drive automatically uses to backs up to your device5 when you are doing things like sketching, editing photos, etc. You can also use apps like Google Play Movies and You Tube Red to enjoy on or offline-access to things like movies and your favorite TV shows. 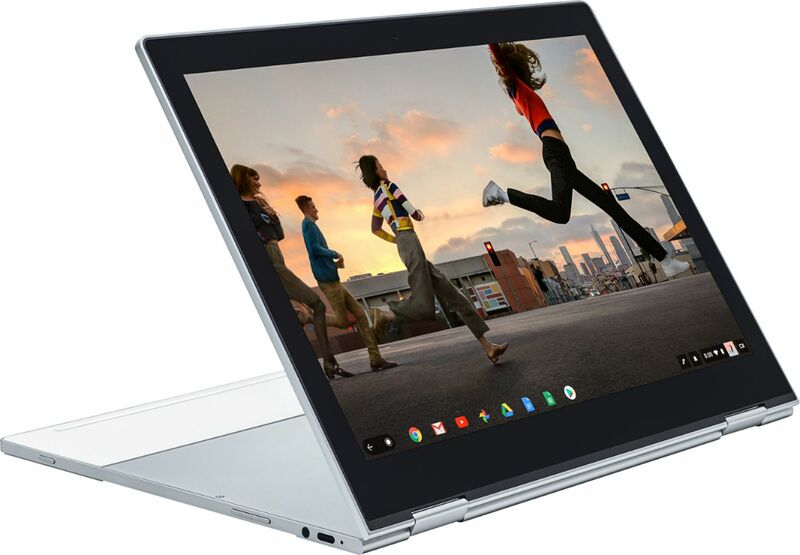 This laptop is the first ever to have the Google Assistant built in2, and you can access it traditionally or with your Pixelbook Pen1. There are several ways to access it too, including the probably already familiar to you, 'Ok Google' wake word, the smart styles, or a Google Assistant key on the keyboard. Two last features (and I'm just highlighting my favorites!) are that the Pixelbook starts up in under ten seconds (whoo hoo!!!!!!) and stays fast...AND it has a fast-charging battery6 that lasts up to ten hours from a single charge7. THAT is perfect for work in or out of the home (hello backyard and Spring weather!). It is also perfect for travel, which is always on my mind, but most especially this time of year when the weather really is getting nice. So, every feature I am looking for and more is available on this Google Pixelbook. After 2 cheaper ('cheap' meaning cost and quality) computers, I'm ready to invest in myself again by buying a laptop that will be durable, strong, fast and easy to use!! Ain't nobody got time for difficult! There's a Discount! $100 OFF!! If you too, are looking to invest in yourself (you're worth it! ), or maybe even find that perfect gift for someone special (Mother's Day is fast-approaching!) the Google Pixelbook could be the right fit for you and your personal/business/gift-giving needs as well. If you agree, now is definitely the time to buy, with Best Buy currently offering $100 off of the Pixelbook (now through April 7th). Hurry in for great savings (and $100 off is definitely great savings! ), and be sure to tell a friend! That makes for a pretty good deal on any of the three. Gosh looks like such a nice laptop, love how can switch to use it like a tablet too! I would love one!! I will definitely have to look into this laptop! I am needing a new one soon!! Wow, I haven't really looked at any other computers since I am so loyal to Apple but I should def take a look at this. A lot of really great qualities. Thanks! 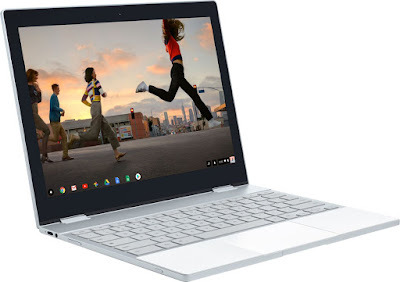 I have had this laptop of mine for the longest time and if I would ever need a new one, I will make sure I give the Google Pixelbook the top spot to consider. I love all the cool features and the fast start-up of 10 seconds! Amazing! I would love to get this Pixelbook for my son. It does look fun, light and easy to use! oooooooohhhhhhhh love this. I like carrying around my small laptop but this one looks so light. Thanks for sharing. Its time to go shopping. Durability is everything for me, when it comes to gadgers, am definitely a big fan of this..
That looks really neat! I like how compact it is. I'd just need it to have usb ports. I'm sure I'm going to need an upgrade on my laptop soon. I could use a new lap top. This one soinds geeat. I love that it is so lightweight. This would be the perfect gift for my daughters. I like that technology is getting less expensive in some cases. Google has pretty good products too, thanks for the discount code. I love that this can turn into a tablet! How awesome is this! This is really a cool laptop, I would love to possess. You did an excellent job with the review. I have always wanted a Pixel Book since I saw them advertised. This looks like the perfect thing for my business. Seems like an awesome laptop. I like it when laptops arnt heavy because I get scared I'll drop it. Thanks for sharing. This looks like a great product. I would love to have one! Wow..this is such a nice laptop! I love that it is so lightweight. We've been in the market for a lightweight laptop for my son. This one seems worth looking into! Looks like a great laptop and it's always nice to save $100. Thanks for sharing the savings and post. My husband loves these! WE spent a good amount of time playing with one at best buy! This would be perfect for in bed! I hate bringing my big laptop to the bed! Love the $100 off deal! These look so convenient and easy to travel with! I love that you can get $100 off the purchase, that is a great offer. Small and compact laptops are incredibly handy. $100 off the purchase is a great saving! This looks like a really great laptop! Considering how much time I spend on my computer, the lure of speed is strong. Having a laptop that gets that time is money is perfect. We are always on the go. I need a laptop that is light and easy to bring here, there, and everywhere. This sounds like the perfect choice for a quality laptop that is light. I've been excited about this laptop since I first saw it a few weeks ago. It is on my wishlist! I like the light weight feature of it. It would be so perfect for Mariah to take around campus for her classes without feeling weighed down by a bulky, heavy laptop. We'll look into upgrading her with this one for next school year.